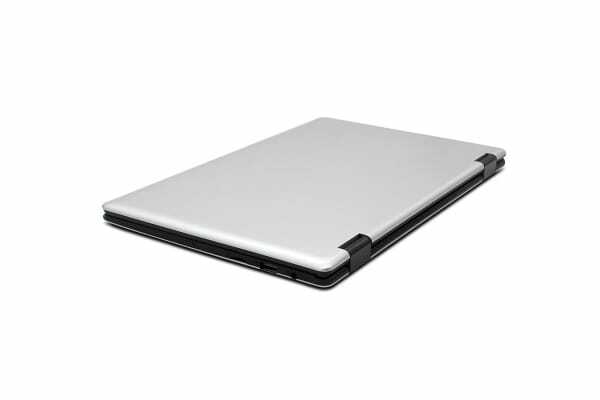 The slim Kogan Atlas 11.6” C250 Convertible Notebook adapts and adjusts for study, travel, and everyday tasks so you can work smarter, pack lighter and take your entertainment with you on the go! 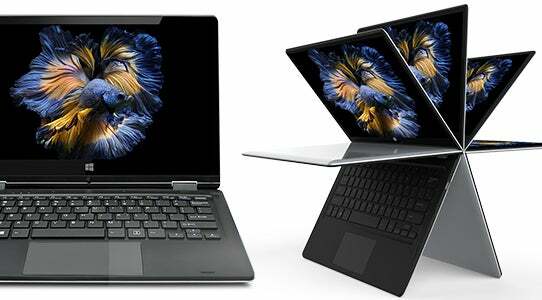 Instantly switch between notebook and tablet! 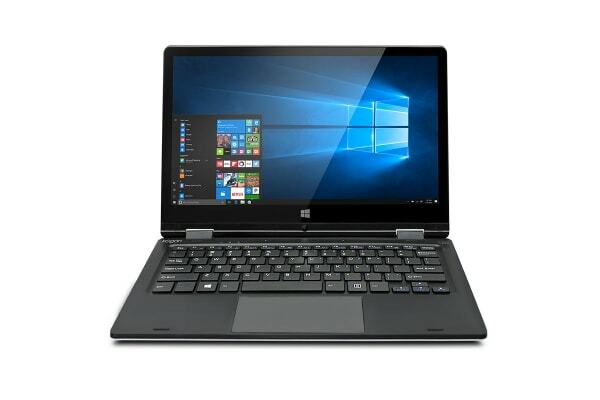 With an incredibly lightweight body and powerful Intel N3350 processor, the sleek Kogan Atlas 11.6” C250 Convertible Notebook delivers the versatility you need to complete all of your daily tasks; with a 360° hinge that lets you highlight documents in tablet mode and take notes in laptop mode. Stream your favourite shows and movies, play games and tap into your creativity in breathtaking Full HD on the slim 11.6” display, boasting Intel HD Graphics 500. 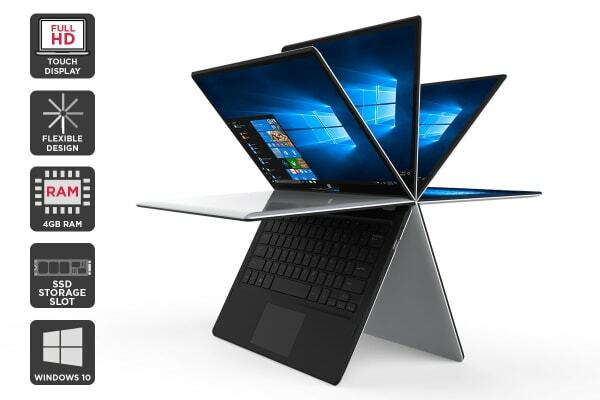 This elegant notebook lets you take notes, doodle and highlight directly on web pages with the Touch IPS display, and easily share files and photos, write papers, create presentations and shoot emails with the keyboard using Microsoft Windows 10. The 64GB of fast flash storage, an impressive 4GB of RAM, and Intel Apollo Lake N3350 processor combine to deliver flawlessly smooth performance for even the most demanding tasks. There’s even an M.2 SSD expansion slot for additional storage up to 240GB. Installed with the Windows 10 operating system, enjoy the flexibility of browsing the internet, accessing your latest documents and playing your favourite games. Expand your device's storage with a Micro SD card and keep all your favorite music and videos on your device, available wherever and whenever you want. Provides wireless performance up to 3 times faster than previous generation Wi-Fi. Enjoy a stronger connection throughout your whole house! Enable super-speedy compact storage. Up to 4x faster than traditional SATA drives!